Presumably, armed fighters of Boko Haram, the so-called Nigerian Taliban, kidnapped at least 185 women and children, and killed 32 people in a raid in northeastern Nigeria this week. The incident happened near the town where nearly 300 schoolgirls were kidnapped earlier this year. Gunmen in pickup trucks attacked the village of Gumsuri, on Sunday, killing men before gathering women and children together. News of the attack took four days to emerge because mobile communication facilities in the region had been disabled in previous attacks. 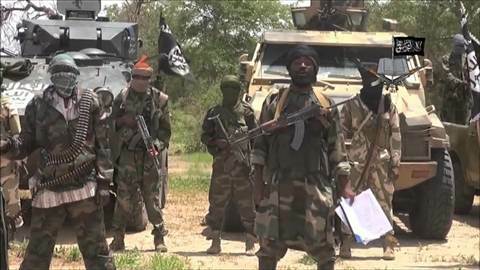 Similar to radical islamist groups like the Taliban or Isis, Boko Haram aims to establish an Islamic caliphate, and has, for that purpose, killed hundreds of people in northeastern Nigeria. However, the fighters are more and more attacking southern provinces as well as neighboring areas in Cameroon. Hence, the „rate of violence in Africa’s most populous country is comparable to the civilian death toll in Iraq“, where the war on Isis is taking place.